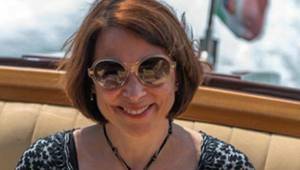 Founded by Carmen Carbonell, a native of Washington D.C. who trained as an architect and has lived in Italy for 30 years, Your Own Italy gives clients the best of both worlds by empowering them to choose how much time they want to spend touring Italy, and how much time they want to discover Italy on their own. The private tour of ancestral towns excursion heads off the beaten path and takes clients on a customized tour of their ancestral homeland. The experience is a life-changing journey of historical and cultural discovery. Boutique travel firm Your Own Italy has unveiled a suite of new private day excursions for clients who wish to immerse themselves in one of the world’s most art-rich, food-celebrated, and nature-blessed countries. Lamborghini Museum and Ferrari Factory Excursion: This excursion features a tour of two destinations that are on every car enthusiast’s bucket list: the world-famous Lamborghini museum in in Sant'Agata Bolognese, and the legendary Ferrari factory in nearby Maranello. Clients are picked-up in the morning by a private driver, enjoy a delectable lunch at a highly-regarded local restaurant, and are driven back to their Florence apartment in the early evening. Private Cooking Class in Sienna or Sorrento Excursion: This excursion features a delightful hand-on cooking class in Sienna or Sorrento that starts with shopping for fresh ingredients from artisan butchers, fish markets, cheese stores, bakeries, and fruit and vegetable merchants. Next, clients head back to their apartment or to a select kitchen where they don an apron, and discover the art and science of creating Italian cuisine. The full-day excursion is tailored to each client’s preferences and tastes, and is ideal for both experienced and emerging chefs alike. Private Cooking Class in Fattoria Terranova Excursion: This excursion whisks clients to a pastoral family-owned villa and farmhouse in beautiful Fattoria Terranova, which produces its own Campania region wines. As clients walk through the vineyard and enjoy wine-tasting (sparkling, white, red and desert), they learn about the villa’s fascinating history from an experienced sommelier. Next, they head into the kitchen for a hands-on cooking class that uses vegetables grown on the farm to prepare one of the region’s most celebrated dishes: ravioli filled with fresh ricotta and herbs, and the gnocchi with the pomodorini of piennolo vesuviano sauce. To cap off an unforgettable day, clients receive a copy of the farmhouse’s renowned cookbook, and a certificate of accomplishment that they can proudly frame and hang in their home. Lunch on Mt. Vesuvius Excursion: This excursion takes clients on a tour of Pompeii, a once-thriving and sophisticated city that was buried under several feet of ash and pumice after the eruption of Mount Vesuvius in 79 A.D. After touring the incredible archeological ruins including the forum, baths, theater and more, clients are transported by a private driver to the charming villa of Cantina del Vesuvio for an authentic Italian lunch. Clients also have the option to visit the top of the crater so they can view the remnants of previous lava flows and lava domes, as well as look down into the caldera. Private Tour of Ancestral Towns Excursion: This excursion heads off the beaten path and takes clients on a customized tour of their ancestral homeland. The experience is a life-changing journey of historical and cultural discovery. 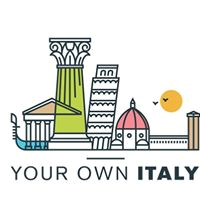 More information on each new private excursion is available at http://www.yourownitaly.com. For all other inquiries including media interview requests, contact Carmen Carbonell at carmen(at)yourownitaly(dot)com.